The Dundee Bistro is located in beautiful wine country and gateway to the agricultural community. Our cuisine is made by scratch, fresh everyday utilizing local products from growers and farmers committed to sustainable and organic practices. Our neighbors, hundreds of Oregon wineries, are also showcased on our wine list along with other top purveyors from around the world. 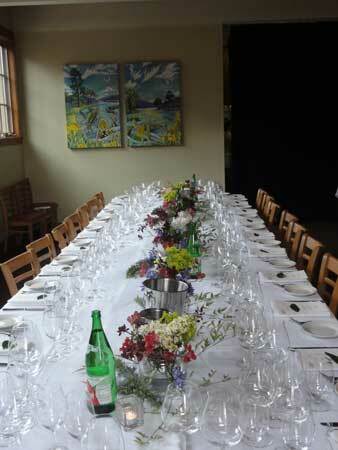 Capacity: The Salud Room is a private, elegant and colorful room at The Dundee Bistro which can comfortably host up to 50 people for a seated lunch/dinner or 60 people for a standing reception.